“Kicki has after several years abroad returned to Sweden. Her 17-year old son has been brought up by his grandmother and has a very distant relationship to his mother. In an effort to get reacquainted Kicki invites her son to join her on vacation in Taiwan. But her hidden agenda is that Taipei is also the home of the Taiwanese businessman with whom she has been conducting an Internet romance”. Both Pernilla and the boys (Ludwig Palmell and Huang Ho) deliver great performances, all well written characters – likable and unable to lika all at the same time. 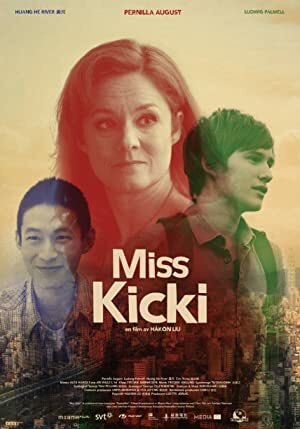 Kicki takes her long lost son on a “vacation” trip toTaiwan, not at all telling him her agenda; they both discover themselves and each other and try to figure out how to fit into their relation, and trying to create a relation. 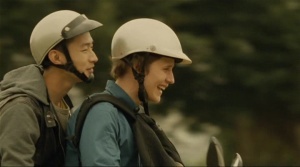 Huang Ho and Eric Tsang, are each others reflections on what the swedes find in Taiwan; the portrayal of the Swedish as well as the Taiwaneese culture strikes us as multi faceted as the characters. A film as many people as possible have to see. Tagged Coming of Age, drama, friendship, gay interest, gay kiss, gay teenager, teenage boy, teenager boy. Bookmark the permalink.